For decades, Alexandria Yellow Cab has been one of the best taxi companies near Alexandria. With a lifelong experience, Parker-Gray Taxi is known as a trusted and certified cab service provider. Whether you need a swift ride to Arlington or Annandale, or a round trip, you can rely on these professionals. Every single Alexandria chauffeur is an experienced driver who knows Alexandria surroundings perfectly. All AYC vehicles are equipped with innovative changes and up-to-date technology. Investing in all aspects of superb taxi services is an important factor for us, so all things considered- don’t let the fact that this team is able to fulfill all your demands surprise you. Your wish is always our command. Alexandria Yellow Cab provides affordable cab services near Alexandria. Making sure you get where to your desired destination in a prompt and safe way, no matter if you’re off to Del Ray, Lower Alexandria, Seminary West or anywhere else in Northen Virginia, is the main reason why your favorite taxicab company in Greater Washington Metropolitan is always close by. You’ll see that Parker-Gray Taxi service has fantastic rates and perfect for your next ride without additional concerns. Why Visit Parker-Gray with Alexandria Yellow Cab Service Nearby? Known for its nickname “Uptown”, it is a historic district of utmost importance. Originally named by the Parker-Gray School, this neighborhood is built in the 19th-century architectural style, including Queen Anne and Greek revival. Through the years, the architecture has evolved, so now you can see also the colonial revival, Art Deco and streamline modern building style. In case you need to get there from West End, Arlandria, Eisenhower Valley, or other areas in Alexandria, this taxicab company near Washington Metropolitan Area will take care of your transfer promptly. Parker-Gray is home of The Alexandria Black History Museum, which is located in the old library building. Also, if you are a basketball fan, you will know that Earl Lloyd was from this interesting neighborhood. 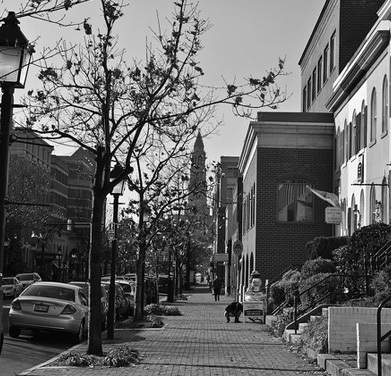 Don’t miss a chance to stop by this famous part of Old Town Alexandria with Parker-Gray Taxi near my location. How to Book Parker-Gray, VA Taxicab near the Airport? You can always book us with a simple call at +1 703-549-2500, or do it online if it’s more convenient. Whether you’re at Baltimore Washington International (BWI), Dulles International Airport (IAD), or Ronald Reagan Washington National Airport (DCA), count on us to be there at a moment’s notice! Even if you’re wondering how to get to the airport from Cameron Station or Clover-College Park, or trying to figure out the best way from Seminary Hill to the airport, you know you don’t have to lose your nerves over it, because you have the finest logistical support in Northern Virginia on stand by. Choose where you want to go and it’s guaranteed that you will get there in comfort and time. Plan your trip carefully and don’t forget to book your taxi ride close by. Alexandria Yellow Cab promises to make your trip a remarkable one.